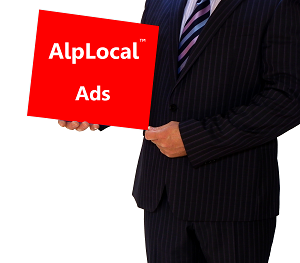 AlpLocal Technology Company | Alphabet Local - Your Mobile Ads Leader! Alphabet Local is an all mobile and mobile-only global media and technology company specializing in mobile related products and services. These includes e.g. mobile advertising, online advertising, mobile technologies, mobile search, cloud computing, SaaS technologies, software and hardware designed exclusively for mobile devices. Our mission is to deliver at massive scale e.g. the learning, education and opportunity required to leverage digital tools and skills to grow local businesses while creating livelihoods at scale. Alphabet Local Media, a global media and technology company, provides various digital programs and technologies to connect global advertisers and global consumers. To accomplish this requires us to share the resources needed by local consumers to make informed buying decisions. By employing various mobile technologies and advertising media, we bring to market the resources local businesses (i.e., Small and medium-sized enterprises … SMEs) need to connect with local consumers. These include: mobile applications designed for mobile devices, relevant mobile advertising, and real targeted mobile ads. Alphabet Local connects people, things, data, applications, business systems and commercial centers in smart networked communication environments as well as training in the use of information and communication technologies (ICTs). Alphabet Local is here to provide the resources and services new entrepreneurs can utilize as they prepare to create livelihoods for the local community and integrate their new ideas into the real world global marketplace. Additionally, we provide assistance in eight primary categories: online business, home-based business, advertising and marketing, business education, business management, career development, mobile technology, software and hardware technologies to make connecting advertisers and consumers easier and mobile-friendly. Alphabet Local Media, a global media and technology company, products and services helps both advertisers and consumers see a clearer path to connect while making it cost-effective for advertisers and easy for consumers to find and use. By leveraging these Alphabet Local Media digital programs, local businesses (i.e., Small and medium-sized enterprises … SMEs) can reach more people, promote their products, offer additional services and grow their business. 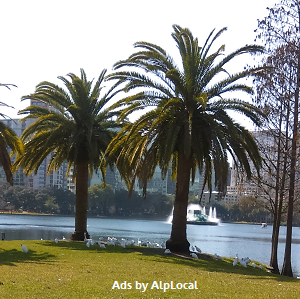 For example, a small bakery business or landscaper can leverage Alphabet Local Mobile Ads (e.g., AlpLocal.com and AlpLocalAds.com) to connect with local consumers so more people can find them and grow their local business. 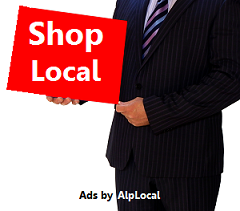 • Because Alphabet Local Ads has as it’s primary goal … to connect local businesses with local consumers so customers can make informed buying decisions. This allows local consumers to save money:-i.e., purchase quality items at discounted or reduced prices. • Because local business owners can get local and national promotions for their business from our dedicated team without draining your advertising budget. • Because consumers can instantly view the ad content with a FREE sharable web address link on mobile. • Because they can easily share that link with anyone so they can find the business promotion and make a purchase. • Because business owners can instantly discover how easy it is to promote their valuable products and services on any mobile device. • Because through our Gratitude Challenge Program we provide FREE mobile ad subscriptions to any legally recognized non-profit, veteran group or charity. • Because potential local customers want your product or service and they want to find you … easily on mobile. • Because people are looking for new offers and solutions everyday and we help them find those offers and easily share their finds with friends and family on mobile. • Because we listened to your concerns and we promise to work closely with you through our Alphabet Media Team of professionals in spreading the word about your products/services without draining your advertising budget. • Because Alphabet Local provides a 100% Satisfaction Guarantee on all products and services. 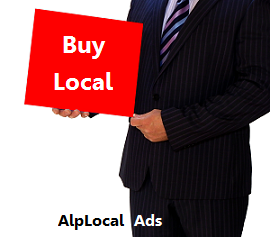 • Because AlpLocal discounts and AlpPon Coupon programs allows local businesses to offer optional savings and deals for local consumers. This effort supports local business. 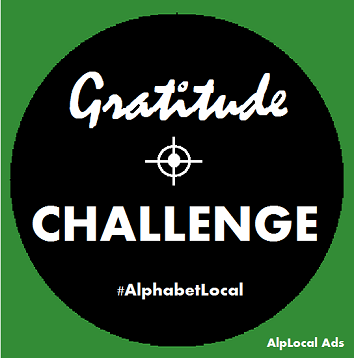 • Because Alphabet Local Media Team is familiar with the local business community and has the knowledge, expertise and media sales experience to help local businesses reach the local community of consumers. To introduce our company, we offer discount subscriptions to our mobile ads at various times to help local businesses kickstart their promotions. This gives local businesses a chance to join our signature service famed for connecting with local customers … without draining their advertising budget. To connect with our ads team simply click the “Need Help?” tab below.